Sean Hannity, who routinely gives Donald Trump’s lawyers uninterrupted airtime to say whatever they want, will on Friday give Donald Trump’s lawyers uninterrupted airtime to say whatever they want. 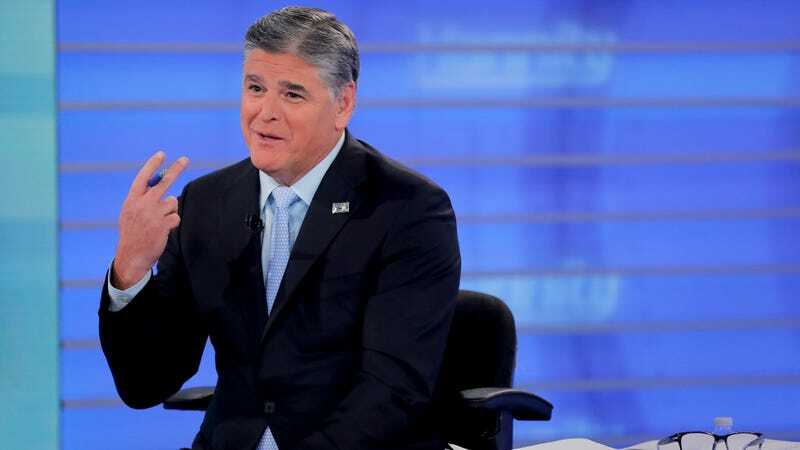 The thrilling twist this time around is they will be the actual hosts of Hannity’s radio show, which is a much more efficient use of the platform. Congratulations to Jay and Rudy. How Are the Fox News Men Doing, Though?